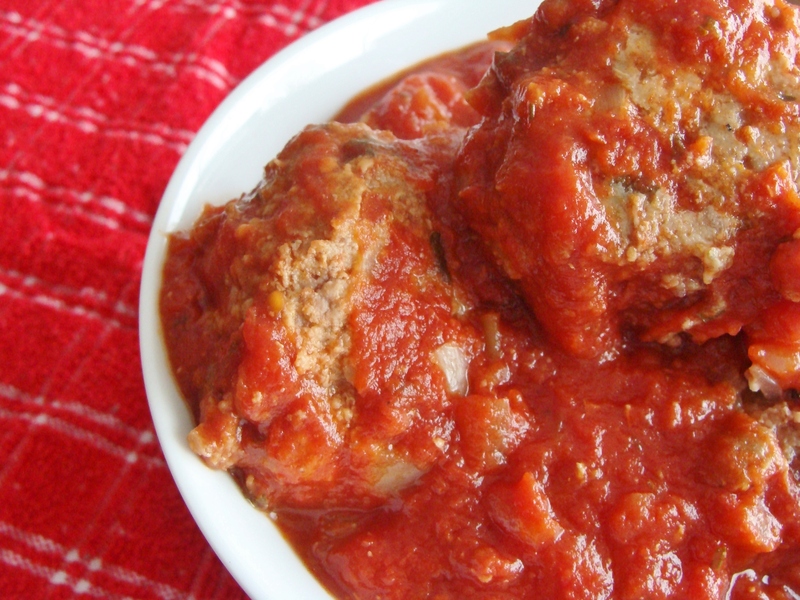 Italian meatballs in homemade tomato sauce. 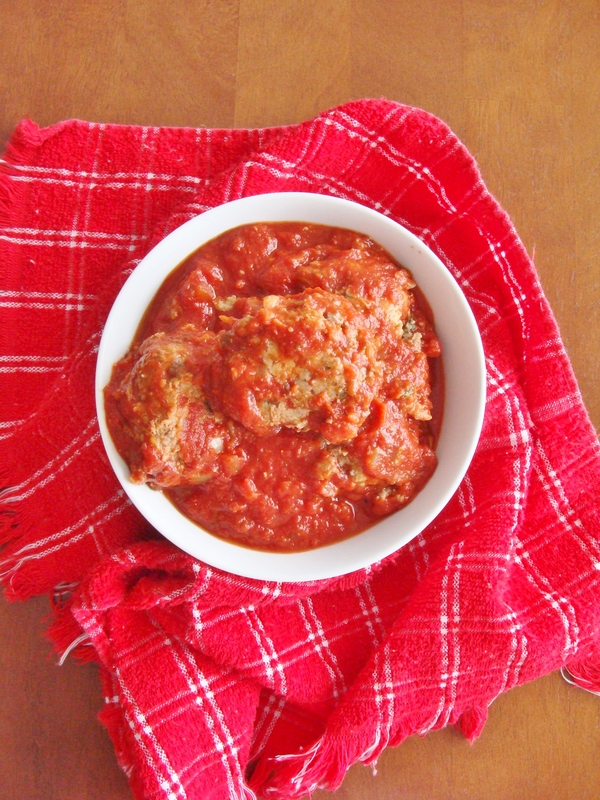 As promised, I’m sharing the next recipe in my meatball series: Italian meatballs in homemade tomato sauce! 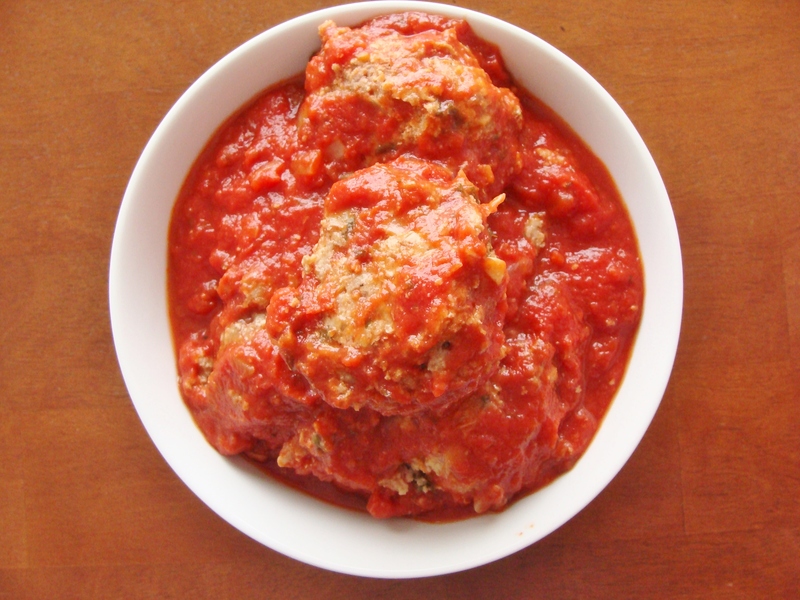 These are the Castelli Family meatballs I shared last week, simmered in a red wine tomato sauce. 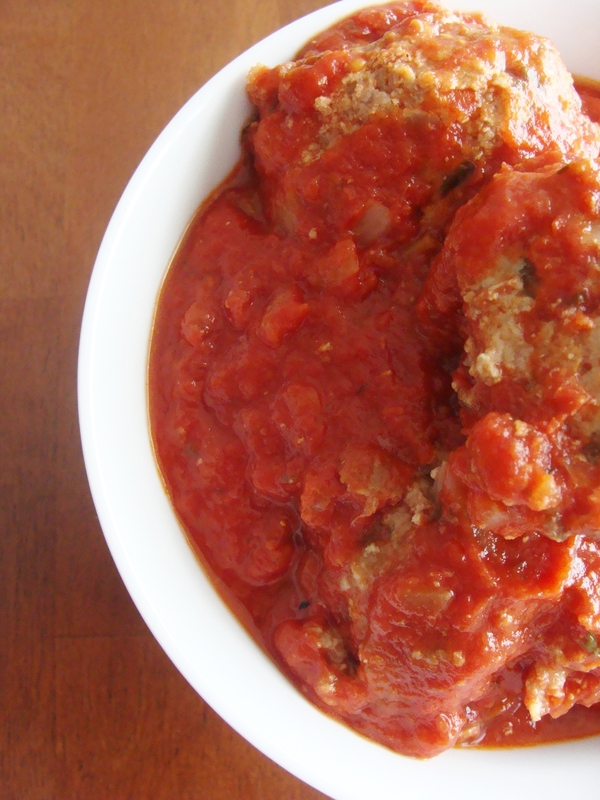 This is my Mom’s sauce recipe, inspired by the sauce her mother, my Nonna, used to make. As a warning, it makes a lot: I had plenty to serve with meatballs and pasta for 6 people on New Year’s Day, plus leftovers that lasted a week, plus three small containers in the freezer for later. I definitely recommend freezing the sauce in small containers (as opposed to one large container) that you can defrost and use as you need it — makes for some easy dinner nights! With these cold temperatures, I find a large stockpot of this sauce simmering on the stove so comforting. It doesn’t hurt that it smells divine, either. Note: I used the Dei Fratelli brand of canned tomato products. Hunts is a good alternative. Finely chop your celery and onion, and mince your garlic. Heat a generous drizzle of olive oil (1-2 tablespoons) over medium heat. Add the celery, onion, and garlic, and cook until the celery and onion are very soft or becoming translucent. Then, add a teaspoon each of the crushed red pepper, dried celery flakes, italian seasoning, and dried parsley. If you do not have Italian seasoning, add a blend of dried basil and oregano. Mix in the spices well. Now, add all of your canned tomatoes except the tomato paste. To recap, that’s 2 cans crushed, 1 can chopped, 2 cans sauce, and 1 can of puree. Stir well, then bring the mixture to a low boil. Once the mixture is boiling, add the can of tomato paste. Stir well. Add 3/4 cup of red wine–this can be a drinking wine or a cooking wine. Then add your cooked meatballs and let the sauce and meatballs simmer for 1 hour, at least. 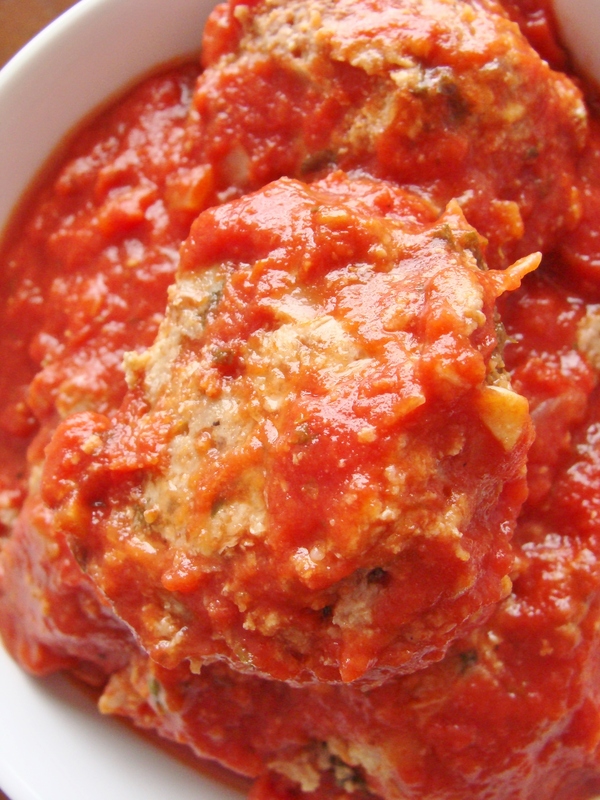 The more time you allot for the meatballs to simmer before serving, the more tender they will be, and the more infused with the flavor of the sauce. This sauce can be used in an accompanying baked pasta dish, such as stuffed shells or manicotti. It is also delicious over spaghetti. As my Nonna used to say: Mangia, mangia! You are currently reading Italian meatballs in homemade tomato sauce. at The Cheesy Kitchen.